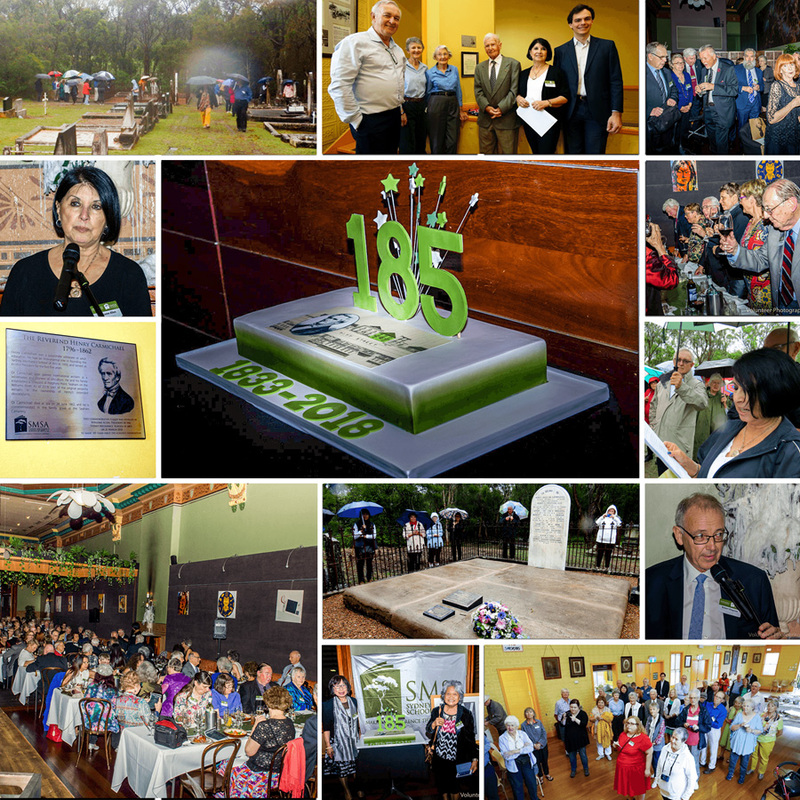 This week, the Sydney Mechanics’ School of Arts celebrated the 185th Anniversary of its founding in 1833 with two special events. On Wednesday, 21 March, members braved extreme weather warnings to participate in a bus trip to Seaham in the Hunter Region honouring the Reverend Dr. Henry Carmichael, one of our leading founders and a man of many skills, talents and vision. A Scottish Presbyterian minister, Henry Carmichael was at the forefront of adult education in the colony, a pioneering landholder in Seaham, a national and internationally acclaimed wine-maker and an early advocate of the industry in the colony. Two plaques were unveiled, one at Seaham Cemetery to mark the restoration of the Carmichael-Ralston family grave site, and one at the Seaham School of Arts to commemorate Henry’s role in the SMSA’s founding and his contribution to the local region. Henry has no surviving direct descendants, however we were delighted to be joined for the occasion by Mr Toby Ralston and his family who are descended from Henry’s wife, Nancy Ralston. On Thursday, 22 March, the actual anniversary of our founding, members and distinguished guests returned temporarily to the SMSA’s original building, now the Arthouse Hotel, for a celebration dinner in what was once our Reading Room, with its magnificent dome. Winsome Allen, President of the Sydney Mechanics’ School of Arts, and Robert Kingston, President of the Mechanics’ Institutes of Victoria, spoke about the School’s history and significance to mark the occasion. Photographs will be published on our website in coming days.